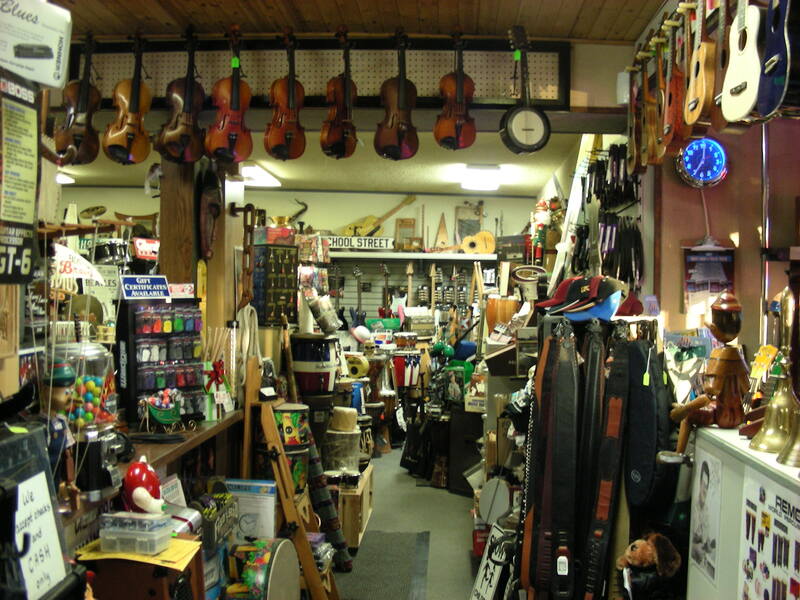 After 60 years in the same location, Larry had collected an amazing array of instruments. Many customers come to us after searching many other places and find that we actually have what they were looking for! 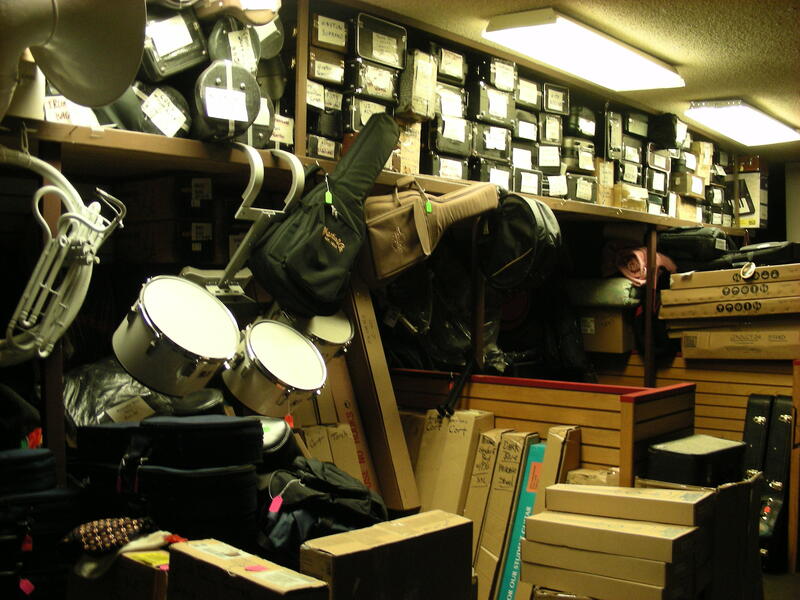 We rent trumpets, trombones, tubas, saxophones, clarinets, flutes, oboes, bassoons, violins, violas, cellos, drums, guitars and more. 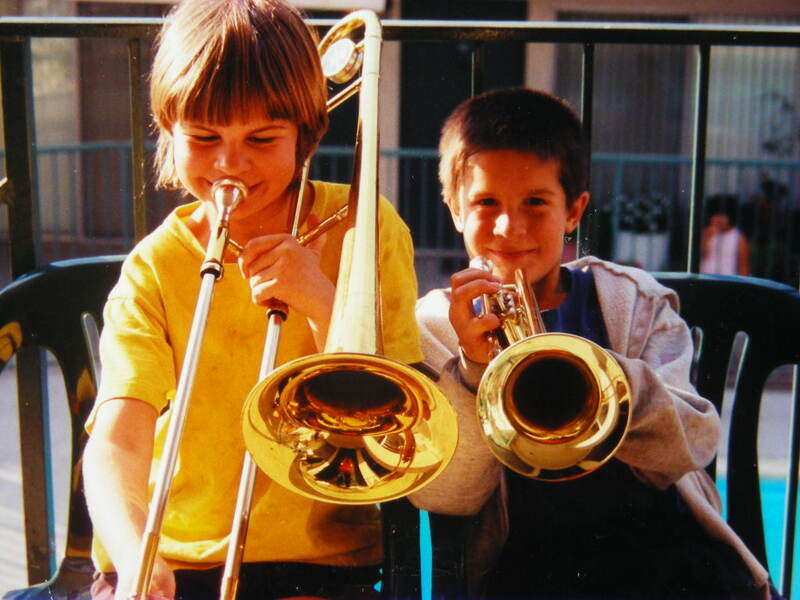 Rates are based on the value of the instrument as well as the length of the rental. We have private teaching rooms for one on one music lessons in voice, piano, guitar, bass, accordion,recorder, flute, clarinet, saxophone, trumpet, trombone, tuba, French horn, drums, banjo, mandolin, ukulele, violin, viola, cello, and more. We repair guitars, banjos, ukuleles, mandolins, violins, violas, cellos, all brass instruments, all woodwind instruments, and more. We offer a wide variety of instruments and accessories. 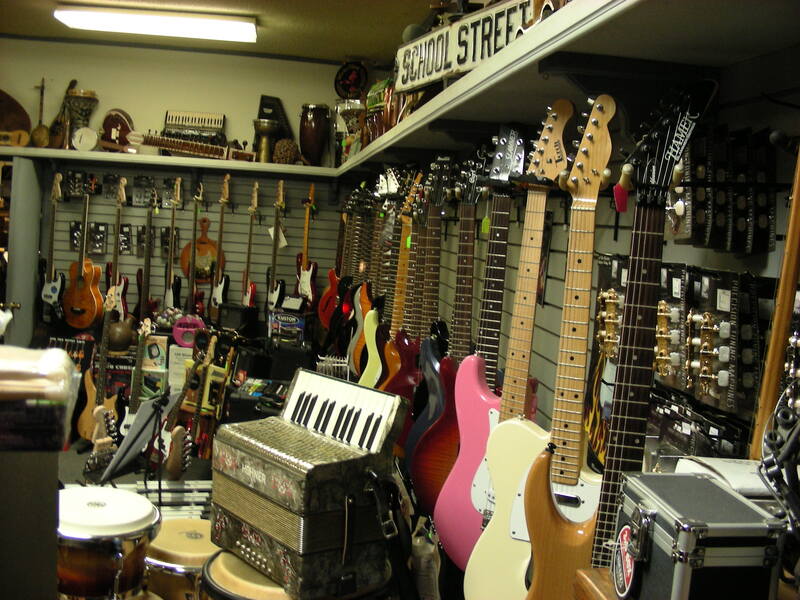 We have many instruments for sale or rental. 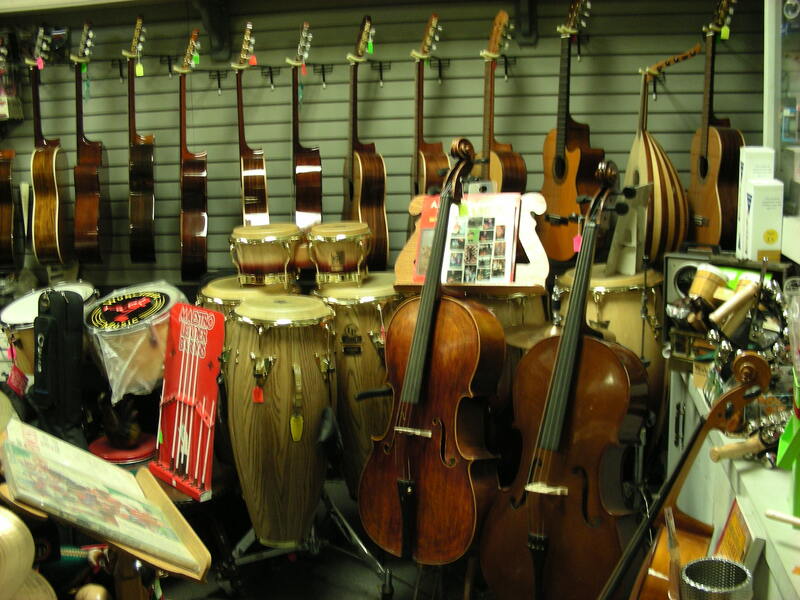 You'll find ukuleles, guitars (acoustic, classical and electric), mandolins, banjos, autoharps, dulcimers, ouds, sitars and other ethnic instruments, trombones, trumpets, tubas, baritones, French horns, flutes, clarinets, saxophones, oboes, bassoons, drum sets and individual drums, cymbals, maracas, tambourines, harmonicas, and much, much more. When you enter the store, you are entering a whole other world! We have many satisfied customers and students. If you would like to share a memory with us, please contact us.